They may be the toughest racers out there, but more than 20 people who got sick after a “Tough Mudder” run in rural Nevada were felled by the very tiniest of obstacles: a germ called Campylobacter. Cow or pig manure was the likely source of the bug, which thrives in the mud puddles that make the obstacle course runs so much good dirty fun, health officials said Thursday. The flight surgeon at nearby Nellis Air Force Base and other health officials investigated after three people showed up with bloody diarrhea after the race in October 2012. Tests finally pinned down Campylobacter coli as the cause, and health officials tracked down 22 confirmed or probable cases. They looked at possible sources — the germ is often transmitted in food or water — and settled on manure-contaminated puddles as the likeliest culprit. “Campylobacter is one of the most common causes of diarrheal illness in the United States. Most persons who become ill with campylobacteriosis get diarrhea, cramping, abdominal pain, and fever within 2–5 days after exposure to the organ­ism,” they wrote in the Centers for Disease Control and Prevention’s weekly report. “High-intensity and competitive muddy obstacle adventure course races have surged in popularity across the United States, drawing an estimated 1.5 million participants in 2012,” they added. The races often lead to sickness or injury. Last year, state health officials in Michigan said 200 or so people got sick at a mudder race there, likely from norovirus. 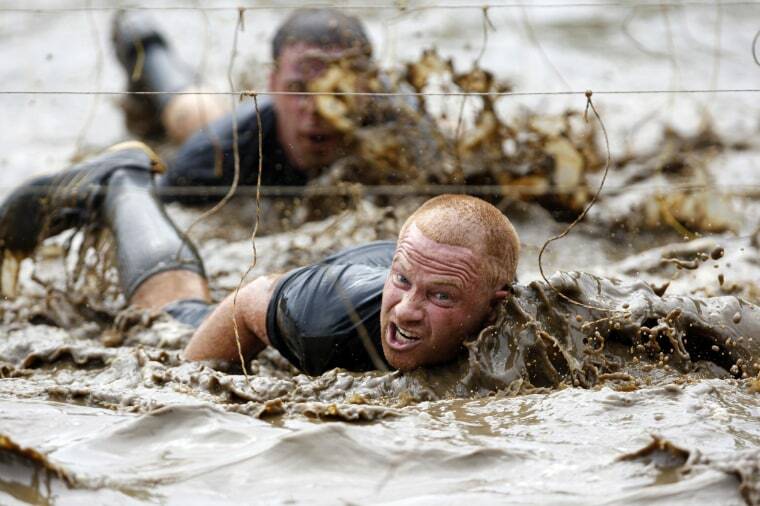 And last November, doctors reported that more than a dozen racers injured during a Tough Mudder event in Philadelphia had suffered electrical injuries from low current run through puddles to make the course more challenging.